Humbug!? : noun. 1) deceptive or tricky talk and behavior; 2) a hard candy, often peppermint, and popular in the British Isles. Verb. 1) to trick. You didn’t expect a dictionary definition here, did you? 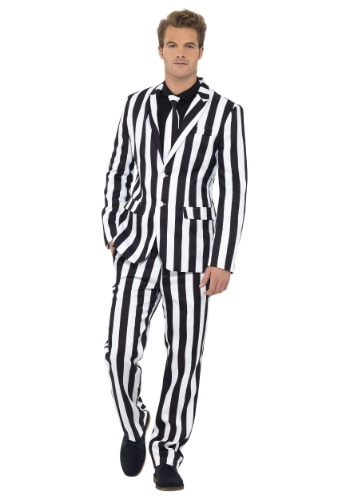 Well, how perfect is the idea of humbug at Halloween!? You possibly heard the term and went right to Christmas, but it is such a better term for this season. Not convinced? Well, let us pitch a few ideas to you. Candy! If witches and ghosts weren’t voted as the top candidates for Halloween mascots, you know that delicious candies would be right up there. But, we can appreciate that you’re a wise shopper and need more. Trickery! C’mon, folks, it is literally the first thing we say:trick or treat! If the mere fact that humbug is pretty much the perfect term for Halloween antics doesn’t grab you, then we finally offer you the look at this debonair Men’s Humbug Striped Suit. 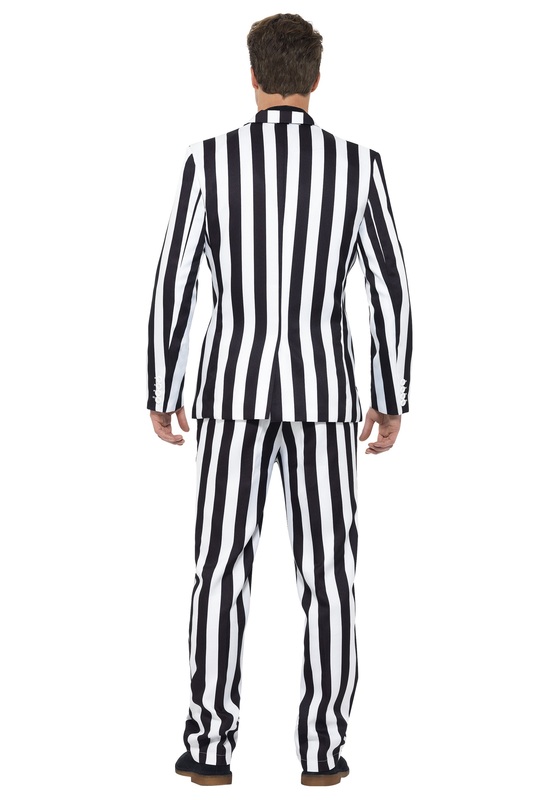 This ridiculously comfortable suit is made of polyester twill and satin and comes with a full lining and attractive false pockets. The matching pants have flexible panels for flawless fit and functional seaming all through. Comfort? Check. But, you know you can’t show up to any event in a suit that another guy is wearing. What kind of competition does that make? Especially on Halloween. 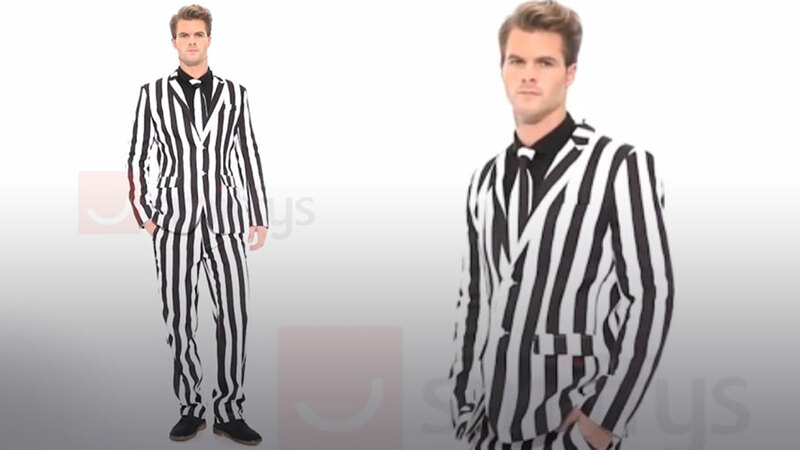 We assure you that you’ll be unique and quite the eye candy—see what we did there?—in this vertical striped suit. If nothing else, we can guarantee that the visual illusion will add a good three inches to you. What an amazing humbug? it was like paper and there was no give and it was very small and awkwardly fitting. I was surprised by the quality. Well made. Not a cheap suit.